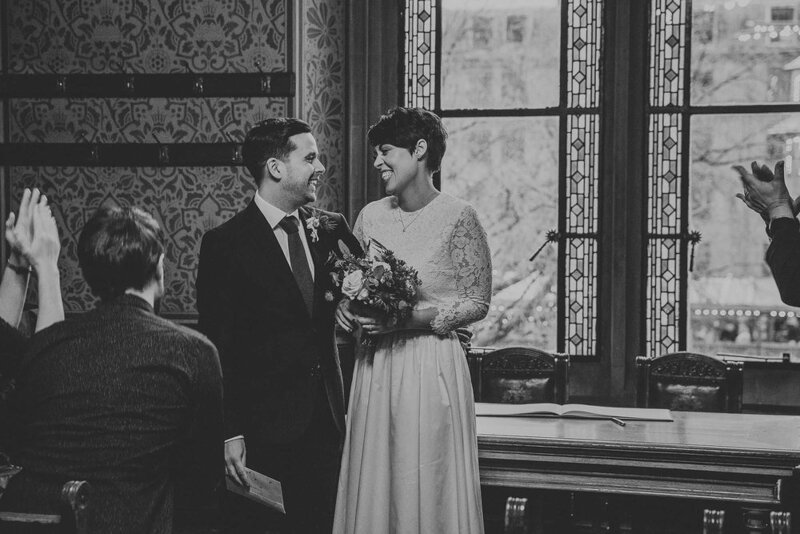 Grainne & Justin's Manchester city centre elopement was the most magical day. With just two guests (& myself!) it was the smallest wedding I have ever attended and I felt very privileged to be a part of it. 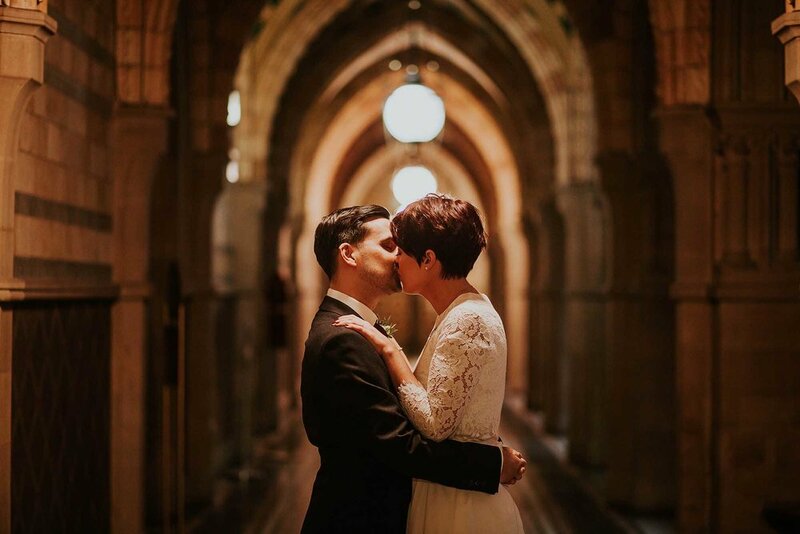 Grainne & Justin arrived at Manchester Town Hall together meaning I got to photograph some beautiful, natural portraits of them both moments before their ceremony. The ceremony itself was short & sweet but somehow the emotion was intensified by the fact that it was such an intimate wedding party. Afterwards, we went outside for some photographs with the help of my lovely assistants (their two guests!) and stopped for some fun & natural portraits around Manchester. 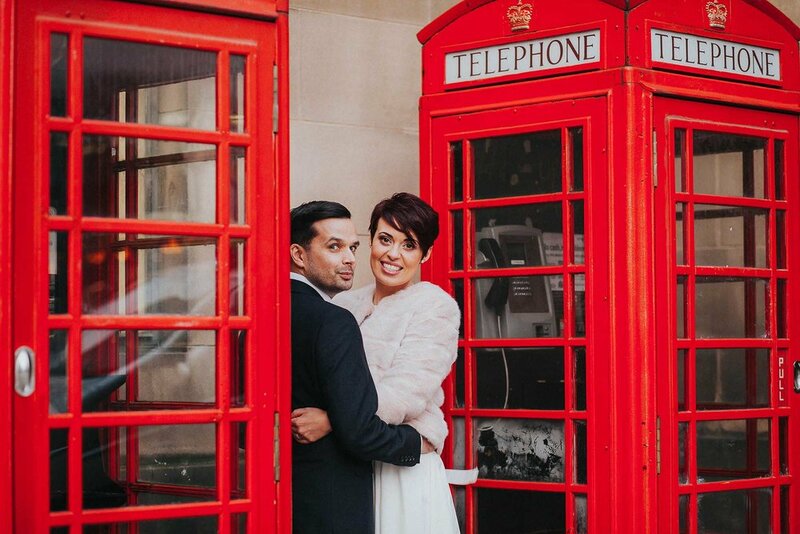 I really love Manchester city centre weddings because there is such a fantastic range of backdrops for photographs! It's also really fun & surreal to be wandering around in wedding attire - we got a few 'congratulations!' shouted our way. When we were at the Christmas Markets, a whole family stopped Justin & Grainne to congratulate them! I had a brilliant time with Grainne & Justin and even stopped for a Gluhwein with them on the way home to celebrate. Thanks again guys & I really appreciate being a part of your day! How did you two meet? : Through mutual friends at a New Year's Eve party. Describe the proposal! : An early morning walk to the top of Edinburgh's most famous viewpoint, Arthur's Seat, led to a traditional 'down on one knee' proposal overlooking the city and beyond. He even brought Champagne in his backpack! We continued the celebrations with Afternoon Tea at The Signet Library before heading off to a shore-side cabin in Loch Lomond. What is special about your venue? : Neither of us were born in Manchester but the city has certainly become our home. So with it's stunning Neo-Gothic architecture (and beautiful 'Bee' tiled floors! ), the Town Hall was hard to ignore. Especially on hearing it was due to close for a 7 year refurbishment! Any details of note about your big day? : Always knowing the 'Big White Wedding' wasn't for us, we opted for an intimate day with just ourselves and two of our closest friends as witnesses. 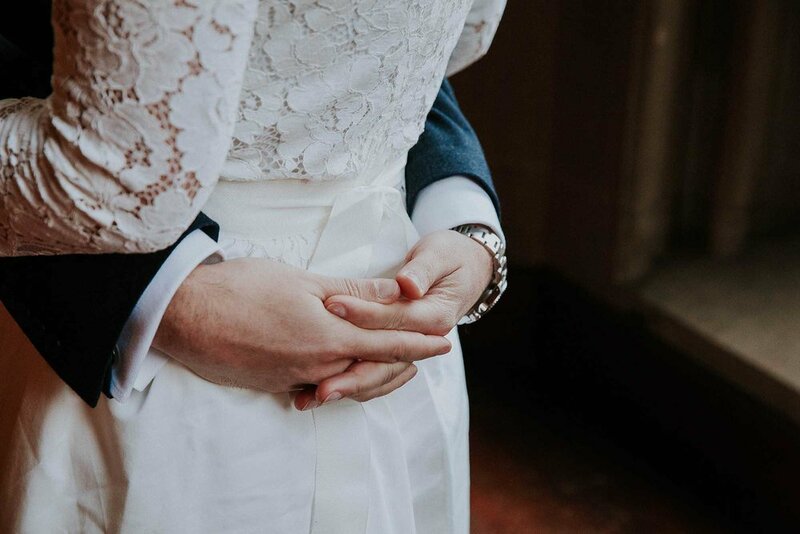 Are you planning a small, intimate wedding in the UK or abroad? Or wanting to elope with just yourselves and your witnesses? Get in touch to enquire about my pricing and availability for UK elopements.